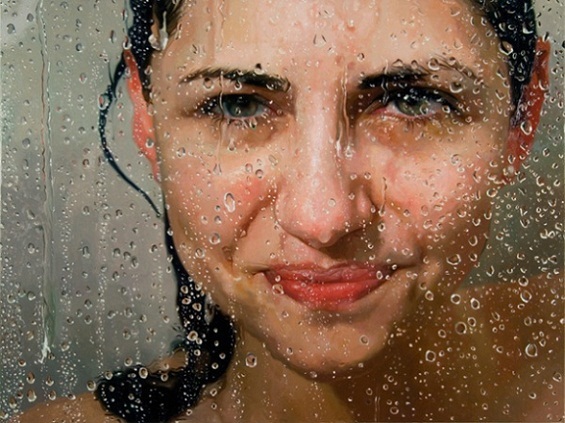 Allyssa Monks is an amazing photo-realistic artist from New Jersey. She started painting when she was a child. she completed B.A from the Boston college. Allyssa studied art in Florence. 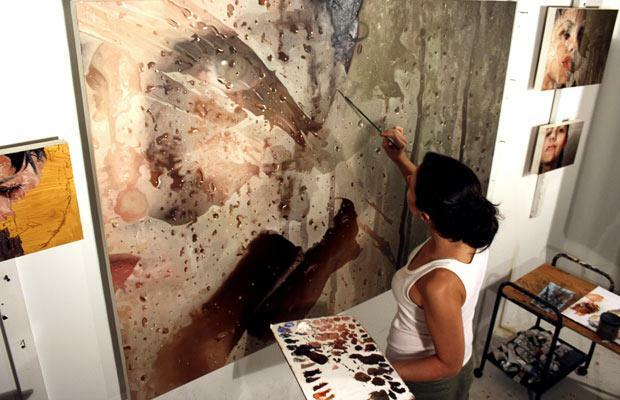 She earned M.F.A and studied figurative art. Allyssa taught how to paint flesh at the NY Academy of Art. She use water, glass and other filters to change the shape of painting space. 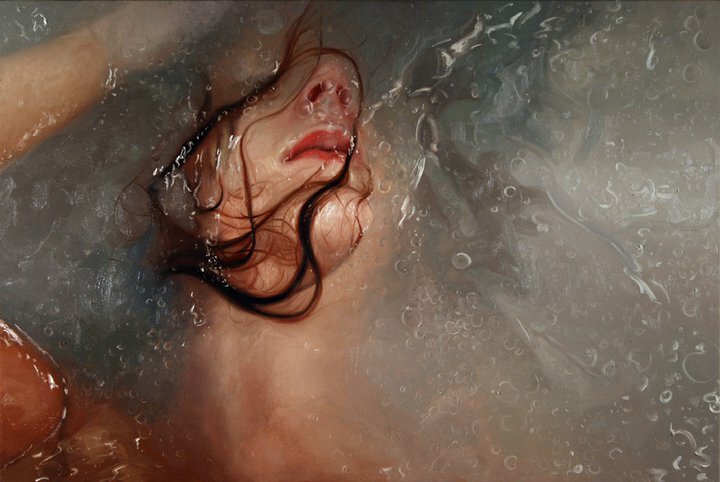 The way she paints water and female paintings make her a great artist. We can call her technique as photo-realism. 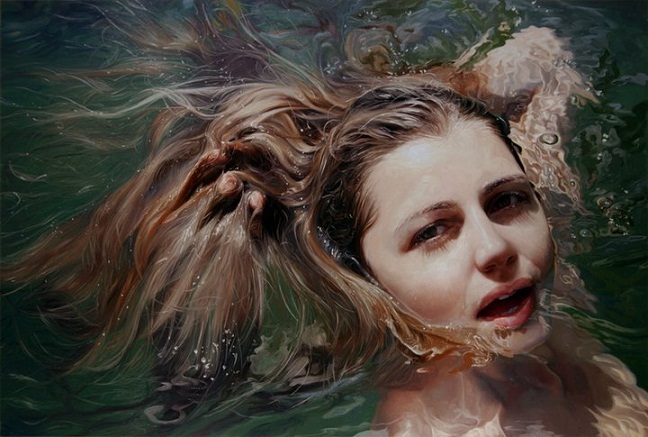 But it is often difficult to believe her works as paintings. Most of the people confuse it as photographs. She has conducted several exhibitions across the globe. She lives and works in Brooklyn, New York. I have selected some of her popular paintings. 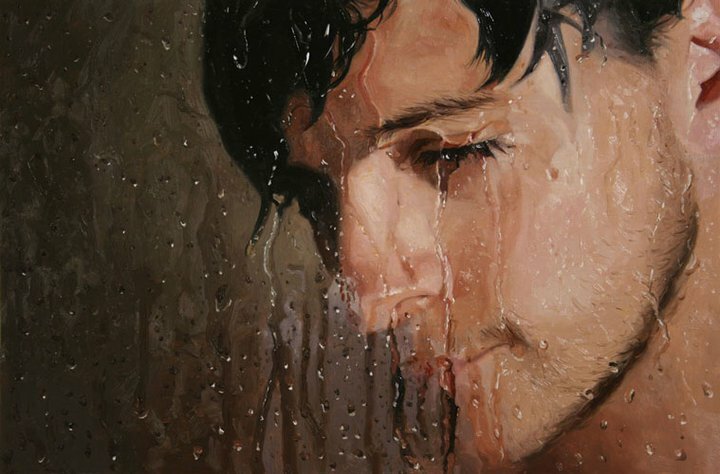 Just check out how she has mastered painting figures with oil paint. 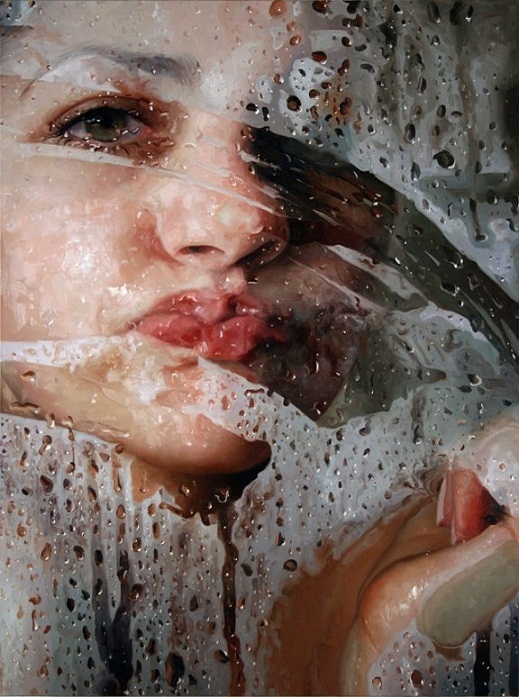 The water droplet paintings in most of her works are so perfect and real! Av seen here paintings before and this is incredible.this portrays a deep understanding of colour and layers.